Sotheby's Australia serves the needs of fiduciaries - lawyers, trust officers, accountants and executors - in the disposition of large and small estates. 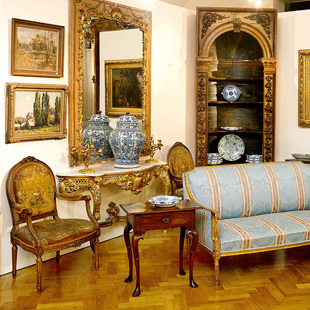 Our services are specially designed to aid in the appraisal and disposition of fine art, antiques, jewellery, and collectables. We offer a full range of estate services ranging from flexible financial terms to tailored accounting for heirs and their agents to world-class marketing and sales support. Sotheby’s Australia can assist with the development of sale and marketing plans for auction and private sale; and consignment management, all with the utmost discretion. Depending on the location of the property, Sotheby’s Australia will provide an initial walk-through of the collection or contents of a vault, or review available listings and photographs, to determine the scope of the collection and identify the appropriate Sotheby’s Australia specialists to work with you. We provide full service to clients with property for sale at Sotheby’s Australia as well as through secondary venues. Sotheby’s Australia representatives will act as your primary contact through every stage of the process, from the initial visit through the settlement of each item.